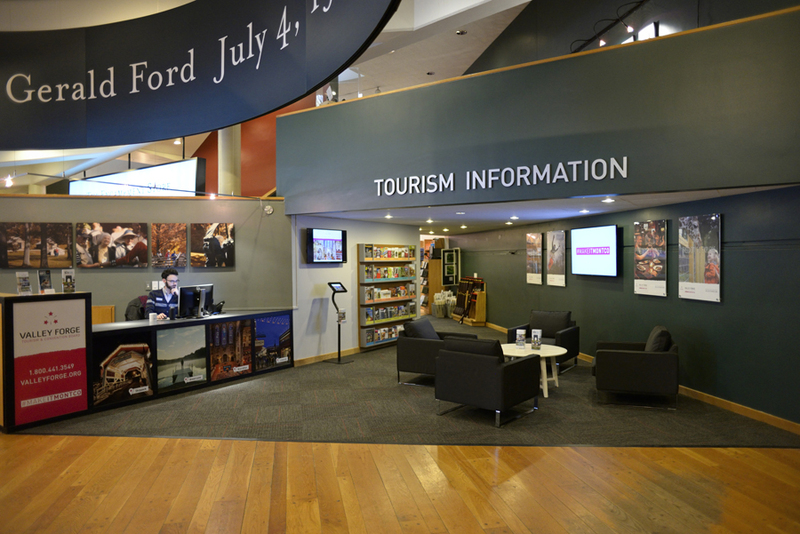 The Visitor Center at Valley Forge National Historical Park offers an open-arms welcome to not only the historic treasures of the site but also to all that Montgomery County, Pa., has to offer. Its role as a gateway to county-wide adventures was heightened in an unveiling of a new look and feel to the space. 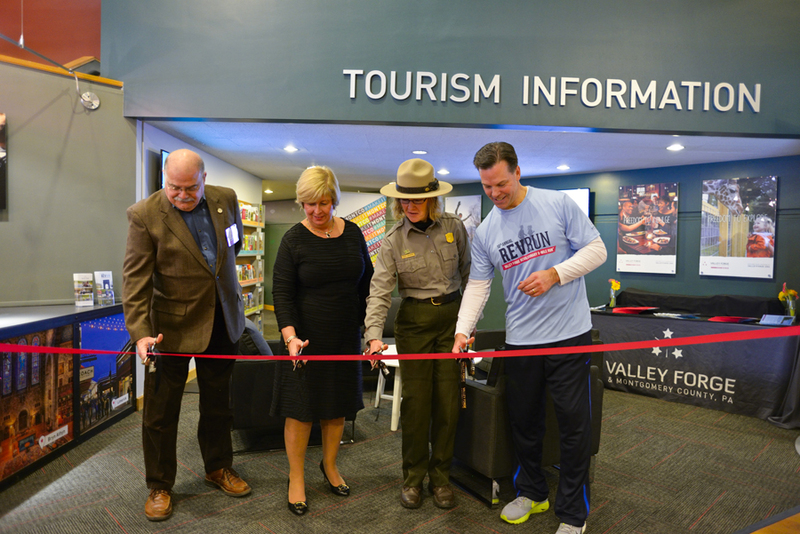 The new branding premiered in an event hosted by the Valley Forge Tourism & Convention Board (VFTCB), bringing its message - Make It Montco - to the 1.6 million visitors who explore the park each year. VFTCB President Bill Fitzgerald led a ribbon-cutting ceremony, assisted by Park Superintendent Kate Hammond, Encampment Store President Daria Fink and President of the Friends of Valley Forge, Don Naimoli. With regard to visitor information, Fitzgerald cited a renewed commitment to highlight "...all the family fun, food, dining, nightlife and other adventures we represent." Particular emphasis this time of year is on details for history buffs, in advance of the Presidents&apos; Day weekend, and recommendations of romantic getaways for Valentine&apos;s Day escapes. The basis for the change came from the rebrand of the VFTCB, an initiative, now in its second year. "We established a new look across all our visitor experiences," Fitzgerald said. "Our new brand is now a fundamental part of our mission statement, our website, our marketing and our social media outreaches. We are now bringing it to this section of the Valley Forge Visitor Center." The updates also include increased use of technology - a tourism trend on the upswing across all markets - enabling onsite video and tablet exploration. The VFTCB event stressed the ongoing use of the Make It Montco hashtag to collect photos, updates and sharable moments. The unveiling was the backdrop for details about the organization&apos;s current marketing initiative. The VFTCB is in the midst of a winter campaign, positioning the cold weather as an opportune time for outdoor adventures (skiing, skating, sleigh rides) and indoor adventures (concerts, museums, theater), all in the Valley Forge and Montgomery County, Pa., area. The rebrand was also extended to the VFTCB&apos;s Revolutionary 5-Mile Run®, a fundraising race that is celebrating a decade worth of donations in support of Valley Forge National Historical Park improvement initiatives. 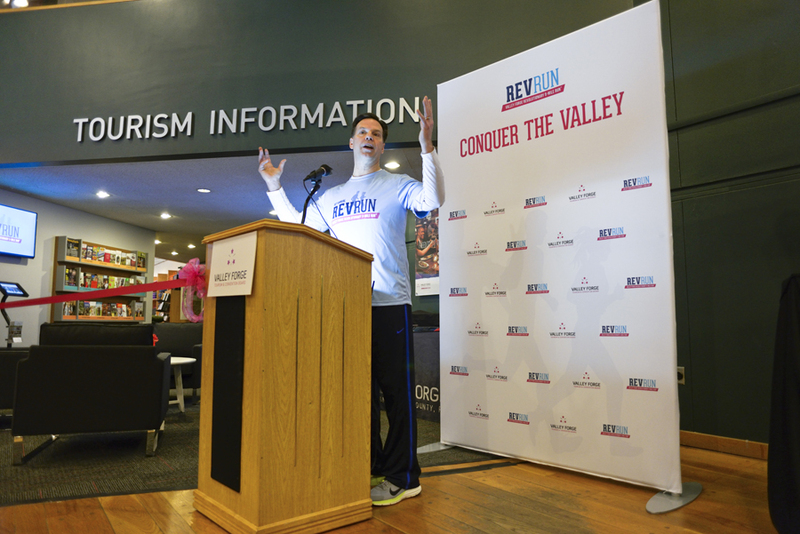 New "Rev Run" logos were exhibited, as well as the invitation for runners to "Conquer the Valley!" The enhancement to the Visitor Center creates an inviting atmosphere and positions the area as perfect for a getaway. That prospect is supported by our accommodations throughout the county, a fundamental component to a healthy tourism industry. Montgomery County hotels, inns and B&Bs are eager to welcome guests, meet their every need and help them create a memorable adventure. Many are currently offering special incentives for a cold-weather overnight, weekend or longer escape. See our website for details.